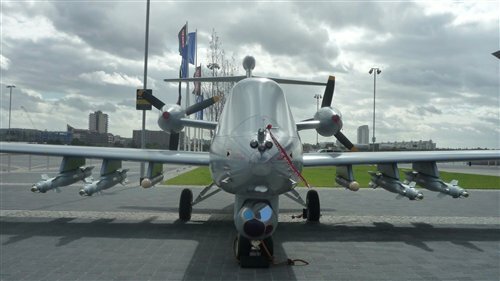 Drones were big news at this year’s DSEi arms fair, with many of the smaller ‘niche’ players launching new product and the ‘big boys’ showing off their wares and engaging in verbal fisticuffs about whose drone was biggest/ brightest/best. BAE Systems displayed their Mantis drone at the fair and were reportedly “confident” that their proposed new drone, dubbed Telemos (to be developed jointly with Dassault) would win the contract for the UK’s next generation drone. 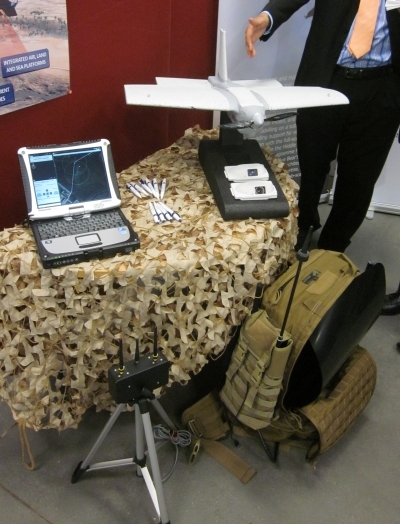 EADS, meanwhile, the other giant of the European military industry is fighting its corner for its own drone; Talarion. Fox News reported that the EADS CEO was “furious” that France is apparently going to choose the BAE Systems/Dassault proposal. established in the market, winning funds to develop a future European combat drone is vital for these military corporations. Many, not least the UK’s Defence Minister Peter Luff, has predicted that there will be no more ‘manned’ aircraft developed after this current generation of fighters; the future they suggest is drone. The platform can go ‘from box to launch in under five minutes’ and the only time-consuming thing during a mission is ‘waiting for the GPS’. [It] has a ‘shake and start’ engine, a 40 minute endurance, and folded wings for easy carriage. It is derived from the company’s larger Black Star, of which the UK MoD is a customer. It was developed in 18 months with police input, and is ultimately designed for special forces operations, [Company spokesperson] Williams-Wynn said. An excellent article on other small drones on show at DSEi this year, including Spy Arrow, Shirk and Switchblade can be read here at the National Defense Magazine blog. The much delayed Watchkeepers are (finally) due to come into service by the end of 2011 and will gradually replace the Hermes 450 drones that the UK has been renting from Israel for the past four years. This of course creates a business ‘opportunity’ – anybody want to buy a squadron of second-hand, slightly used Israeli drones? Elbit, it seems are open to offers. Meanwhile, Qinetiq, were promoting their ‘West Wales UAV Centre’ – where the Watchkeeper drone is currently being tested – at DSEi. The owners of the centre at Parc Aberporth, site of a number of protests against drones already , are keen to attract more drone manufacturers. While each individual Watchkeeper drone will undergo testing at Parc Aberporth until at least 2014, it appears there is still plenty of room for more drones – and no doubt more protests. Speaking of which, the Fellowship of Reconciliation and SPEAK organised a protest outside General Atomics’ London office during the DSEi arms fair. The manufacturers of the Predator and Reaper drone were curiously absent from DSEi this year – so protesters went to visit them. Below you can seen Amy Hailwood of FoR speaking about drones against the background of the protest.